How can a trip to Clip 'n Climb benefit my class? Clip ‘n Climb consists of various climbing challenges which can benefit your students both physically and cognitively. Our walls are designed to increase confidence and self-esteem through personal achievement, strength, balance, coordination and a healthy lifestyle through physical activity. Peer support, communication and perseverance through problem solving are also key benefits. Most importantly of course, Clip ‘n Climb is really good fun! 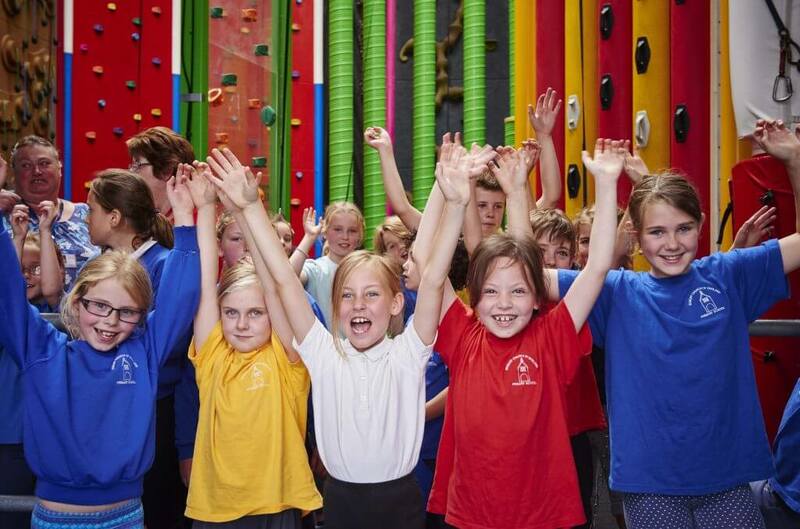 Please email info@clipnclimbnewcastle.co.uk or telephone: 0191 91 70 360 to discuss details and booking. Schools, scouts, guides and youth groups are welcome to take advantage of our discounted rates. Please email or call us to discuss what discounts we can offer you! Please email info@clipnclimbnewcastle.co.uk or phone 0191 91 70 360 to discuss details and booking.